Commonwealth Pediatrics is a proud supporter of United Athletics, a local organization that pairs local athletes with those needing physical assistance to participate in a wide variety of sporting events. In 2014, United Athletics began a medical fund to help ease the financial burden of medical bills for families. 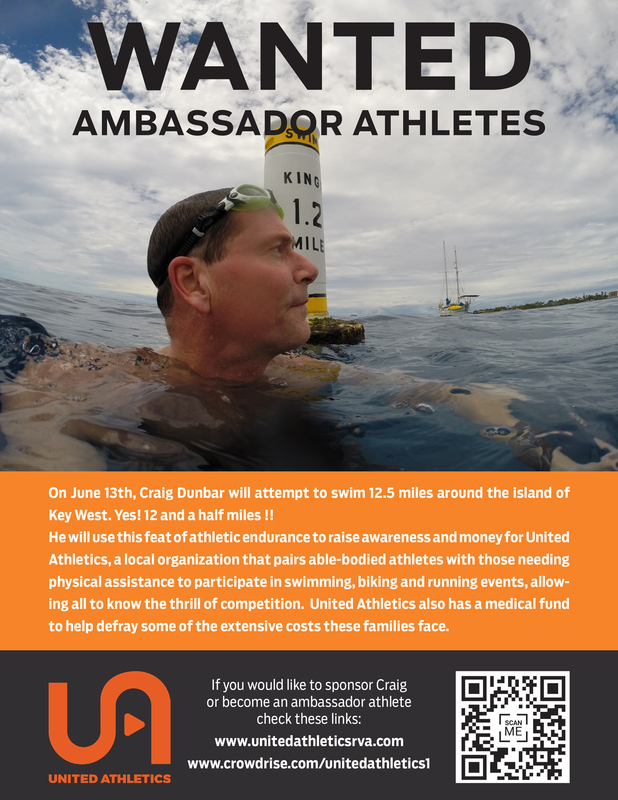 On June 13th, please join us in supporting Craig Dunbar as he attempts to swim 12.5 miles around the island of Key West in order to raise awareness and funds for this wonderful organization! They are looking for Ambassador Athletes to participate in upcoming activities! Check out the flyer below and click here http://www.unitedathleticsrva.com/ to check out their website to learn more about becoming an Ambassador Athlete.